Saturday 13th April, 12:15 kick-off. Tickets are available from the Club Shop and online from ictfc.tickethour.co.uk. The singing section for this game will be East Stand section G5. To help us manage the volume of ticket sales calls, a dedicated number is available on 0844 847 1888 and is open 8am-8pm Mon-Fri and 8am-6pm Sat & Sun and Bank Holidays. 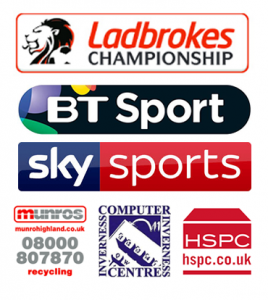 75p ticket fee for all online and shop purchases (season ticket holder exemption). Calls to 0844 847 1888 cost 7p per minute plus your call carrier access charge. The call centre booking fee is £1.70 per ticket. (season ticket holder exemption on provision of ID number). Posted tickets must be signed for as they cannot be replaced if lost, this will cost £2. Collection from the Stadium is free of charge. No tickets limit per purchaser. Seats will be sold on a best available basis. Hospitality Packages are available for this game and information will be released next week. 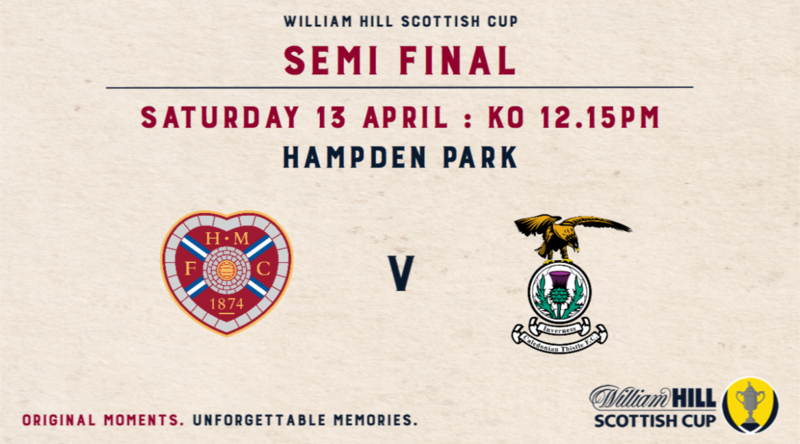 For more details, please contact the Hampden Hospitality booking line on 0141 620 4040.